Nestled just north of the University District, Ravenna Park is a forest-filled ravine that serves as a green retreat for city dwellers. 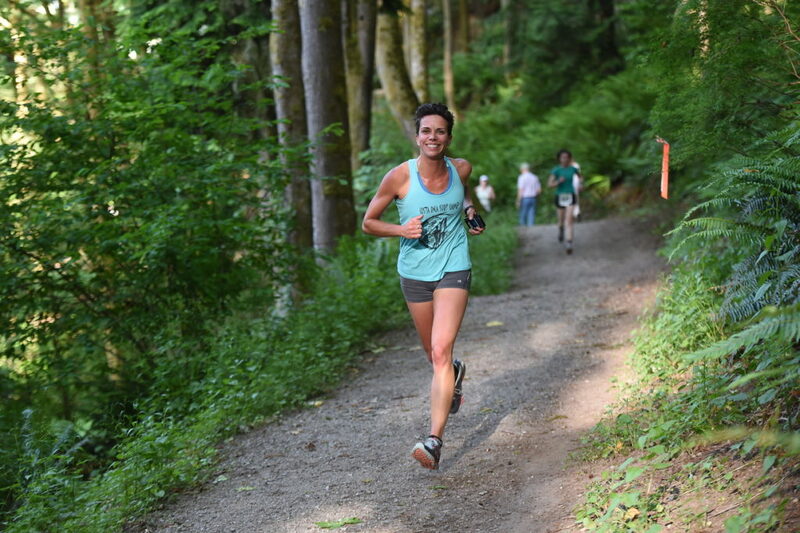 According to Seattle Parks & Recreation, a local realtor named Ravenna Park after “an Italian seacoast town that was famous for its pine trees, where poets, warriors, and statesmen once strolled in a state of euphoria…” Experience your own trail running-induced euphoria at Ravenna Run the Ravine! Whether it’s your first trail run, a chance to set a personal record, or simply some motivating maintenance miles, you’ll be glad you ran at Ravenna Park. 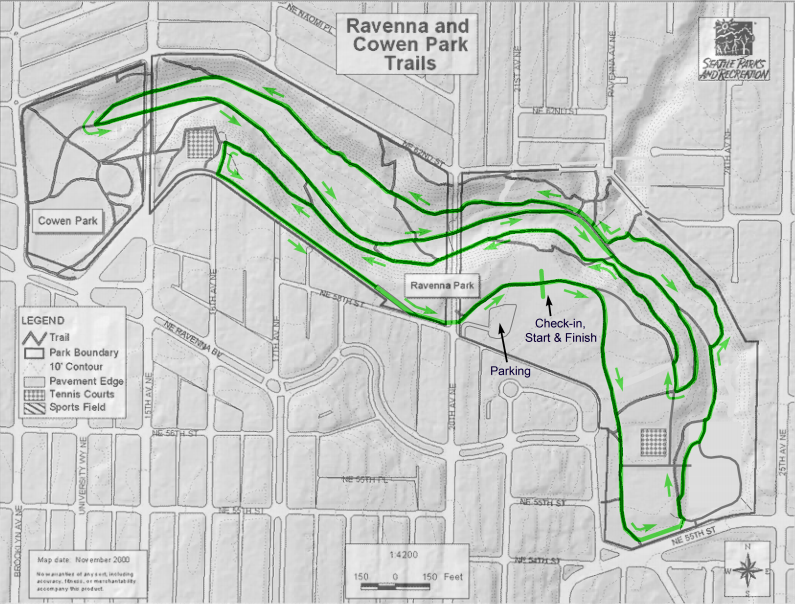 Join us for a 4k, 8k, or 12k trail run at Ravenna Run the Ravine, part of the Tuesday Night Trail to Grill series! Thank you to Oiselle for sponsoring an aid station and helping promote the Tuesday Night Trail to Grill Series. 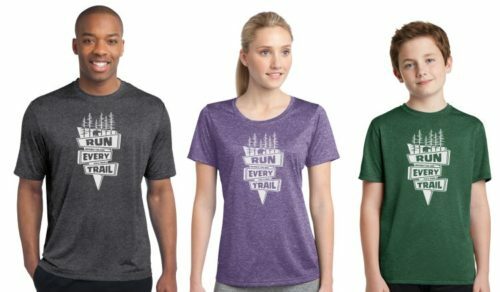 Bring in your bib number post race or proof of race registration and get 15% off any item at the Seattle Flagship store in University Village! 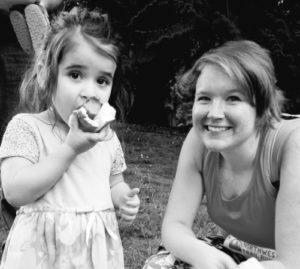 Hot dogs, watermelon, & more! Online pre-registration closes Monday, June 10th at 11:59pm. 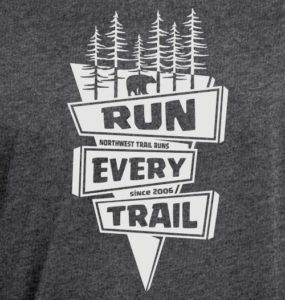 We accept cash, card, or check made payable to Northwest Trail Runs. All courses use the same 4.1 km loop, with low to moderate climb (230 feet per loop) and nicely groomed forested trails. There are a few steeper pitches, but most of the course is gently sloping, as the course takes runners up and down the ravine. Click the course map to see a larger image. Click the elevation profile to see a larger image. Elevation data were measured with a Suunto Ambit, available at The Balanced Athlete, your Suunto headquarters, located at The Landing in Renton. There will be an aid station at the start/finish point, so runners doing the 8 km and 12 km distances will pass the aid station once and twice, respectively. The aid station offers water, electrolyte drink, and some carbohydrate-rich or salty foods, such as cookies, pieces of energy bar, gels, chews, chips, bagel, fruity candy, fig bars, peanut butter and jelly sandwiches, and/or bananas. The parking lot at Ravenna Park is very small (fewer than 30 spaces), so be prepared to find nearby street parking North (unrestricted, but a bit farther scenic walk) or South (2-hour limit between 7am and 8pm) of the park. 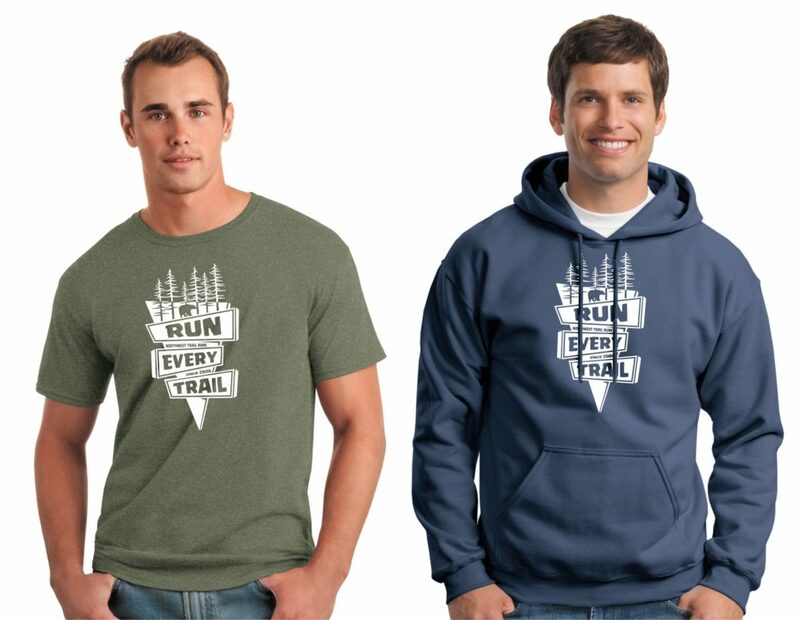 The NWTR design for Fall 2018 – Summer 2019 features our “Run Every Trail” slogan on signs to help guide you! 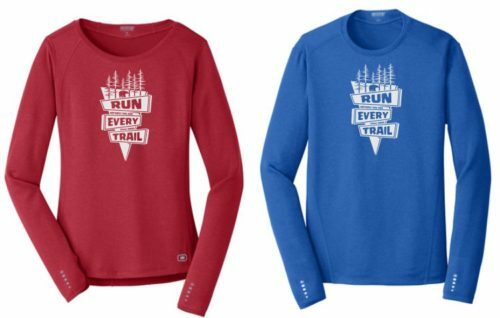 You can order apparel when 1) registering and pick them up at the event, 2) order at RunningBug Apparel and have them shipped, or, 3) try it on and buy at the event. 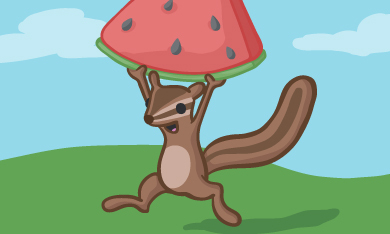 Make sure to stick around after your race for hot dogs, veggie dogs, watermelon, and other yummy snacks! 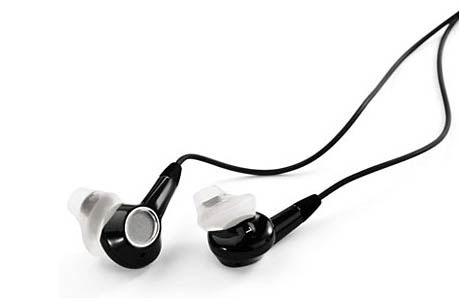 We will do awards for the top 3 male and female in each distance and a raffle for fun prizes (included in entry fee). The trails will be open to other users during the event, including pedestrians with pets, and cyclists. Participants are responsible for their own safety while participating, and the organizers are neither qualified nor equipped to render medical care in the event of a serious injury. In case of an emergency, call 9-1-1. You are encouraged to bring a cell phone with you as a safety precaution, if you wish.